As we welcome in 2016 and note the 30% increase in train fares, Guess what.. we are also experiencing 30% less in terms of reliability and quality of service. I sit here on a parcel shelf on the train after paying $20 for a train fare from the Central Coast to Sydney as there are no seats. To add to this the train has been delayed by 34 minutes so far due to a train ahead breaking down. Ohh and I forgot to mention this train is supposed to be an 8 car carriage, the only problem is that one entire carriage, (Car 9180) is tapped and out of service as the doors won't open and of course a leaky air conditioner tripping water on the seats. If you think this is a one off nightmare or rare occasion, it's not. This is an ongoing daily event that's been happening for the last 10 years. For the past 2 weeks the trains have been late every day, on the trip down to work and late on the way back. I told this to a Sydney Trains employee who arrogantly responded "No they haven't, I have been working everyday and know", I replied "And I have been catching them everyday and I know"
Sydney Trains employee's arrogance is disturbing, they don't know and don't really care if a train is late or how it affects you. The apology annoucements from the Guard or recorded announcements at the stations are very ingenuine to the point that most are just recorded messages to keep the masses quiet. 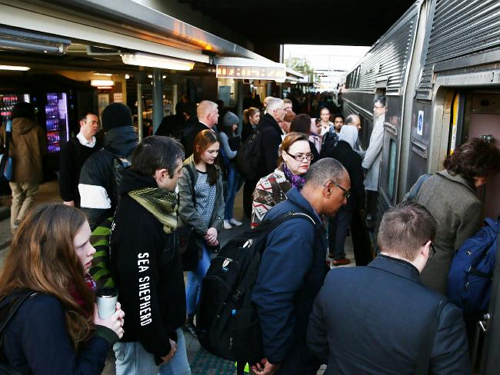 It's quite clear that Sydney Trains have no ambitions to improve the service, nor have I spoken to anyone who was willing to take suggestions or complaints and actually do something about it. 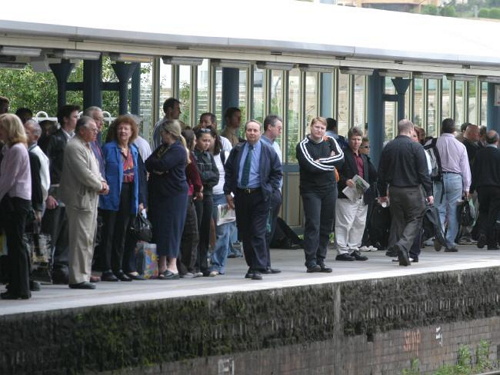 What I would suggest is that the public start taking a proactive approach to transport, as the government are not there to help you, they are there to help themselves. People need to start considering Ridesharing as the way to go, we've made it easy and safe for people to start sharing their ride or joining someone elses ride. Now all we ask is that people give it ago, or starting getting happy about paying your rip off Opal card fee's that are only going to increase year after year, while services decrease. I would not be surprised if Sydney Trains in the near future removed all seats and told everyone it was standing room only. Now is your ride worth the $28 to Sydney.